I wanted to put together a couple rework thread ideas I had into a more organized space than the forum allows. So I made them into Google Sheet documents. Have a look at them and let me know if you have questions. Please be constructive and read the google sheet before posting. the changes i suggest to greymane are mostly to bring some kind of sense to his early talents where he has nothing going on. the only thing he has right now is cocktail build. going anything else is severely gimping yourself. these changes are meant to try to give people an alternative to cocktail so that it isnt the 'one build to rule them all' solution. additionally there are some QoL changes. things like 'Wizened Duelist' which has always been something of a thorn in the side of people that play greymane. there really isn't a good reason to have it erase itself on death with heroes like KT on completion, and for a level 1 talent even, get theirs permanent. 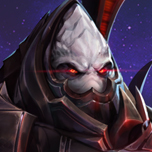 you also have heroes like Alarak and Butcher who lose their stacks in increments instead of all at once. took a look at Raynor some more and changed 'Inspire' a little bit. i know one major complaint ppl have with Ray is how bad Inspire feels over all. what i did was change it to a variable value to give it a bit more interest in that it heavily promotes teamwork. however, you get use out of it no matter what. additionally i merged the older move speed upgrade into the base skill and made it a self passive. the purpose of that is to give Ray a way to chase down things right from the start rather than having to upgrade into a mostly unusable skill. on that Inspire upgrade path..
Revolution Overdrive gets changed to duration extension on kills. This shouldnt be that hard for Ray since he is an assassin. Also, anyone that has Inspire on them would count toward getting duration extension if they kill something. Steel Resolve has a different kind of upgrade. It extends only the vision range but not the attack range. The purpose of that is to build on to the existing base level skill so that it is easier to get the buffs by making his vision radius wider. It also indirectly helps with survival. Additionally there is an "Unstoppable" buff tacked on there for the initialization of Inspire so that it can be used to get out of roots and slows. First of all: good job! Now my comments about the Li Li rework. I may comment the others later. I didn't understand the gale force quest. Is it basically hit 20 heroes with blinding wind? Liked the Mending Serpent change: good for tanks. Cleansing Tonic: when should i prefer to self cleanse? Should i go face-to-face with the enemy? I liked the new shake it off: having to choose between physical and magic armor is nice. Maybe the cooldown should be a little bigger. Only test would tell. I also made a rework for Li Li. I'll link it here if you want to read it. 1. Gale Force (Quest): Yes, it is a hit 20 heroes quest. 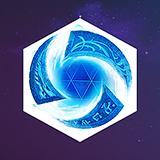 The damage increase was split so that Li Li would get a slight increase from picking the talent, and then the damage bonus would be doubled vs Heroes. This way the damage vs minions is not as high, but she retains her Hero damage in this talent. 2. Mending Serpent: Yes, this was the general intention. That the serpent felt really poor having a flat value all the time. I wanted to buff it to damage dealt values which i tried to keep reasonable. While even on a fully buffed Diablo the 1% is small its in 'addition' to all the other heals so it really helps out when you think that currently at 20 the serpent can only do about 46hp. 3. Cleansing Tonic: When I did this one I was thinking of how much the game has change from when Li Li was introduced to now. It use to be that Li Li would just have to worry about cleansing people out of like a Malfurion root. I mean that was the thing. Now though there is so much more roots, slows, and stuns in game. If Li Li gets caught then its very likely the whole engage will turn bad. So what I wanted was a self cast cleanse. This could be used to get her out of things like Ring of Frost, Stage Dive, Mosh(if you anticipate it because of the 2 sec duration), Everything Arthas does, and so on. 4. Shake it Off: I was thinking that it might need a longer cooldown as well too since its almost like the regular spellshield talent. it might be good to increase it to 20 seconds. the normal spellshield is 30 seconds. added Sonya into the list of reworks. some have had a problem with her being too 'OP'. its true that for a while now she has been kind of a one build (poison spear...) hero. not only this though but another big thing is that her late game is 'too defense oriented' as some say. the options given to her are too good for her, as a bruiser, to pass up. i made some rework suggestions that i think would really help her out. -increased based range: its better just merging it into his base than making it some kind of passive. less complicated that way. -merged the AA damage increase into his trait. which is kind of similar to what they did to zul'jin and muradin with their talents. it just kind of makes things a bit better not having to pick up a talent similar to 'seasoned marksman' because you feel like its mandatory. which leaves room for other picks. Nah only Raynor seems to be quite outdated while Greymane is doing fine and Sonya is little bit broken but it dont need complete rework, just maybe minor nerf. what do you find wrong/right specifically with the suggestions? for instance with grey i did not even suggest a full rework. sonya i suggested mostly functionality and balancing changes. i get the feeling you did not really read anything and are just commenting. i get the feeling you did not really read anything and are just commenting. I just read content of forums and I am not gonna follow unknown links. Still I play named heroes and these work fine for me so they dont have pressing need of rework (except poor Raynor) any improvement suggestions might be usefull though. Still there are characters with low winrate and popularity cause almost nobody can make them work like Medivh and Tassadar (Tass can be actualy strong but it takes realy lot of effort). Chogall works only in combination with right support like Auriel or Alex. Not sure if these are on your list but they should be there. if you arent going to read what people put forth as information then dont comment. thanks for stopping by and trying to participate though. -changing Let Them Wither from a Crippling Spore talent into a Nature's Toxin talent. i made a couple suggestions for Tassadar. really overall he doesnt need much imo at this time except some shield changes to bring him back up to being current. -removed the base life steal from Plasma Shield. I have a ton of comment to do, but i'll only do on Greymane, Lunara and Tassadar reworks. 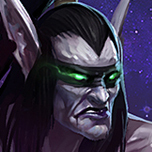 I'll begin by saying all of your reworks are unfinished according to me, you should not hesitate to REALLY destroy what Blizzard did, and put new mechanics as i did for Lunara, only 2 talents that change your Talent Tree, new Abilities as i did for Greymane, or new Baseline Quests for Kael'Thas or Illidan. Personally, I dared to do that when i seen Muradin, Leoric and Zul'Jin reworks: Leoric had a new Trait, and Mura + Zul a Baseline Quest, you just have to find what should be in baseline, that's the harder task. Furthermore, you leave talents like "Focused Attack" unchanged (I think to Sonya particularly). That's why i consider all your reworks as "Unfinished". Now, let's talk about (only) Lunara, your idea for the Wisp is good, but completely broken at the same time, you can make a Wisp spawn everywhere you want on the battlefield, even in front of the core, giving vision everywhere, it's like Tyrande with its W or lv 20 ult. I understand it's frustrating when the Wisp dies by minions or Towers, but if you want to dodge this situation, you could have write "Wisp is Invulnerable against all Not-Heroic damage while moving" or something like that (which is a good idea). It's really too few to balance him, and, even if i do like baseline quest (this can be a solution to balance him) i prefer what i did on him. There's many problems... many about Viciousness, first, it's almost impossible to get 75 hit combo at once (if i misunderstood and it's 75 total combo, mb then). Secondly, you give a control to a Hero that doesn't have any control, by spells or talents, this means if you want to give a control to Greymane you have to do this for the entire tier (As i did for my level 4 when i give protection to him, whatever talent you pick) so you should remove this functionality. This is why i removed Executioner: you can't activate it by yourself, you got 0 control, it's stupid. Third, the reward of Wizened Duelist is not... arg i don't find the word so i'll say "good" for the talent, it's a talent that got the objectif to increase Basic Attack damage by using Worgen Form, but the reward increase your power on Human Form (This is why i did on my Rework a talent only for Human form, and left Wizened Duelist as it is now). Just a little comment on Raynor, i like what you written, but he looks like Tassadar too much by using Vision to increase its utility according to me. so, starting with tassadar since thats my last edit. - Distortion Beam (trait). the original dev intent behind merging in the channeled beam you can actually read in the patch notes. i can see that you want to revert that change. the idea was that he be able to kind of peel for allies but i think his greatly reduced attack damage hinders a lot of things. to accomplish the same effect you are trying to go for with multiple changes a simple attack damage change is all thats required. just buff the channeled damage to 17.25 base damage. - Plasma Shield. unfortunately i think you need to revisit this one entirely. it is completely OP. if this hits a tank at 20 they will have over 12k HP. if it hits a high damage assasin it basically turns them into a tank with around 5k hp. I looked this over and it would work better with a 1.25% HP scaling if %hp is the way you want to go with things. It has higher HP for tanks an lower for squishies without being obscenely OP. -Force Wall. Movement Speed... i dont understand why? -Khaydarin Resonance. I would switch the values to 10 and 20 globes for faster unlocks around Level 10ish and 15ish. There is a possibility to unlock earlier with certain maps and if you completely overwhelm the enemy, but I have found that often this doesnt realistically happen most of the time and all the old quests requiring more than 20 globes are a real pain to complete. Otherwise, I like this talent. I always wished they didnt remove that one talent for shielding on expiration. -Distortion Beam (talent) - First off... be more original in naming that is really confusing there having 2 things exactly the same. I mean do what I typically do and just take the deleted talent and name it that if it sort of fits. Next.. NO. Turning Tassadar into basically D.Va, Tracer, or Azmodan is not along the lines of what he needs to be. Let alone what the community wants. He is a support. Now if he heal the group by doing damage that would be an entirely different thing, but he doesnt. -Focused Beam, Prismatic Link. The main issue with these talents is that it is a conditional similar to an ultiimate. You are locking it behind the Level 1. Which is why I suggest not changing the AA in the first place and just buffing the damage. You cant just lock talents away like that. First lets address the comments on it spawning anywhere and being broken. like on a core. How is that different from a talent like "Timewalkers Pursuit" (Level 1) or Farsight (Level 7) which reveal an area anywhere to check the map? Actually you cant spawn it near enemy fortifications because the structures will just kill the wisp. Even if you did spawn it in some gap behind enemy lines the area revealed in one of those tiny corners is so small it does you no good. As to it being like Tyrande? no its nothing like Tyrande. Tyrande gets an owl that can basically scout a straight line across the entire map. which used right can do some good things. Again this is like the above mentioned talents. From what I see of your Wisp changes they promote Wisp killing. Skybound Wisp would be the #1 choice for bonus damage to Noxious Blossom. Just send the wisp in to die and you get 4 seconds of spell power. No I really meant 75 Hit Combo. I could perhaps decrease it to 40 or 50, but read my comments. "I intentionally made this annoying to complete.." read that as "hard" because that slow in the reward is a powerful tool for someone like Greymane. However, getting 75 Hits isnt easy. It does remind me though that I should reword it to specify "non-structure" because he can totally sit on a fort and just rack up combo points. Personally, though I have gotten upwards of 30+ combo in a battle and I am a terrible Greymane. My highest would probably be in lane against someone where I could continue on minions, or a mid-fight. Probably around 48. Attack range from level 7 quest would help here. anyway thats why Execution got left in there. i dont foresee anyone actually completing the quest unless they have a high degree of skill. I am going to guess you misunderstand Wizened Duelist. Wizened Duelist increases ALL basic attack damage. You can read the talent and see this. If you need to go to Try Mode in game and view the new interface though then do so. The ONLY thing I actually did to Wizened Duelist itself was take away the death cost. I did this by making it a quest completion similar to Kael'Thas where if you complete the quest you get to keep all your stacks. It was an easy solution to make. The other thing was the additional range added. The reason for that was that over time many new heroes have been coming out with just base line 6+ range. so now its actually better for him to have that merged into a good talent than have the Raynor effect going on with something worthless. Thank you for taking the time to comment on my work. he ONLY thing I actually did to Wizened Duelist itself was take away the death cost. I did this by making it a quest completion similar to Kael'Thas where if you complete the quest you get to keep all your stacks. For each Heroes that Wisp reveals while the Wisp is alive, increase your Spell Power by 10. 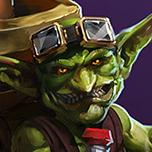 Like this you should make it survives, and at the same time reveal Heroes. More changes to Raynor who is always on the mind of the community. -increased Basic Attack Damage to compensate the loss of marksman. after looking at this one more thoroughly he lost a lot of DPS without this change. -Relentless Leader has been moved to 16 and its entire function changed to take over the roles lost by Executioner and Nexus Frenzy. This got rid of a few of the generic talents that really needed to go and gave Ray some new interesting things.